Were this a merciful world, the NFL would seriously consider scrapping the Super Bowl altogether following the horrific and ghastly fiasco game between the Los Angeles Rams and New England Patriots on Sunday. Were these *really* the best teams in the entire National Football League? If so, why are they playing like its a preseason game and they’re all marginal players who will be working at Home Depot after they get cut on Monday? While the Super Bowl should go the way of the fax machine, taxi companies and Blockbuster Video and disappear like other once viable concepts that have outlived their usefulness that’s not going to happen. The NFL–America’s wealthiest non-profit organization–makes too much money off of it and they have a phalanx of co-conspirators in the media who are already trying to convince the masses that what we witnessed in Super Bowl LIII wasn’t a historically abysmal performance by both teams but an intense ‘defensive battle’. The vindicating element of pro football and the Super Bowl in particular is that you can bet on it. Really, many games and entire sports for that matter would be completely unwatchable were not for this salvation. 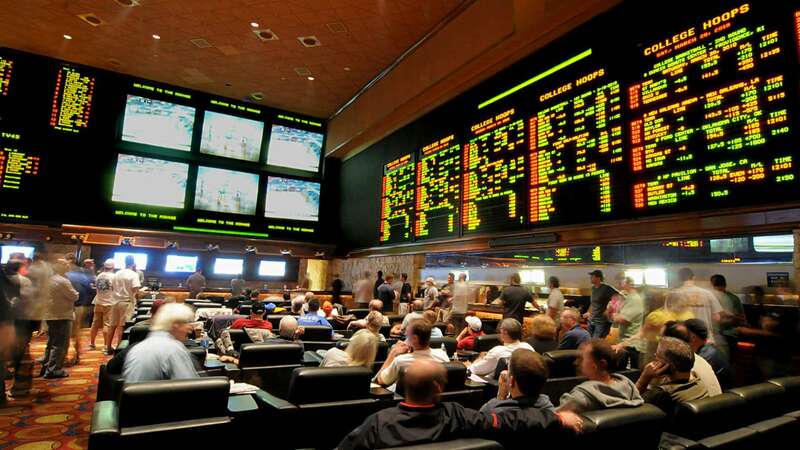 The good news is that the early Super Bowl LIV betting odds have already been posted and are available for wagering at sportsbooks across the world. The bad news? Based on the betting lines there’s a good chance that the Rams and Pats could reprise Sunday’s abomination. More bad news? The Kansas City Chiefs and the NFL’s reigning tragic divas aka the New Orleans Saints are also atop the betting board. No one in the mainstream sports media seems to understand what betting lines are, how they’re made and what they represent they’d likely reassure us that just because the aforementioned four teams are favored doesn’t mean that they’ll be anywhere near Miami for Super Bowl LIV unless they buy a ticket. This odds hierarchy is more of a reflection of what the ‘squares’ think will happen and not in anyway a prediction of the qualitative pecking order of the NFL 2019 regular season. Since 99.9% of the mainstream sports media doesn’t have a clue about betting lines that leaves the job to me to try to mollify the readership that these four tired public teams might not befoul the Hard Rock Stadium on February 2, 2020. So while it’s unlikely that the Rams and Pats will be barred for competing in the Super Bowl for a year or two to atone for their miserable performance in ‘the big game’ hope springs eternal that they might not make it back–even if the ‘public’ thinks and bets to the contrary. The current odds to win Super Bowl LIV 2020 have the New England Patriots atop the betting board at +600. Really, the current price and favorite varies depending on the sportsbook. At some stores in Las Vegas, the Kansas City Chiefs are favored. The top three teams are very tightly packed so these prices and positions could flip flop before the (figurative) ink on this article is dry. For now, however, we’ll quote the Chiefs as the second betting choiceto win Super Bowl LIV at +700. The third betting interest is the Los Angeles Rams who are +800 to make it back to the Super Bowl but win this time. Rounding out the top four betting choices is the New Orleans Saints who are +1000 to win Super Bowl LIV. The second tier of teams are led by the Chicago Bears at +1400 followed by the Indianapolis Colts, Los Angeles Chargers, Minnesota Vikings and San Francisco 49ers all at +1600. The Green Bay Packers and Philadelphia Eagles are both priced at +2000 while the Cleveland Browns and Pittsburgh Steelers at +2200. The Dallas Cowboys and Houston Texans are +2500 with the Atlanta Falcons at +2800. At the other end of the table, the Miami Dolphins are by far the biggest longshot to win Super Bowl LIV at +10000. They’re behind nine teams at +6600: the Arizona Cardinals, Buffalo Bills, Cincinnati Bengals, Denver Broncos, Detroit Lions, New York Jets, the (insert city here) Raiders, Tampa Bay Buccaneers and Washington Redskins.